Offering you a complete choice of products which include wind flow wall-mounted fan, wall mounting fan, wind flo(hi-speed)16" wall-mount fan, high flow wall-mount fan, wall mounting rotating fan and high flow wave wall mounting fans. We hold expertise in offering a quality approved range of Wind Flow Wall-Mounted Fans. The offered range of fan is incorporated with high end technologies that help in undertaking the work in an efficient manner. 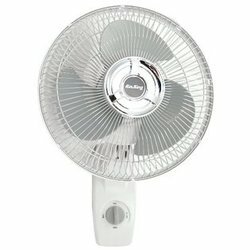 Various schools, offices, institutions and other establishments make use of the offered range of fans. 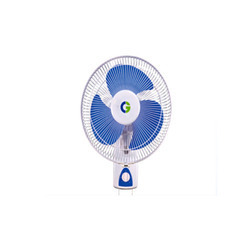 We are engaged in Supplying a varied range of Crompton Greaves Wall Mounting Fans, which are widely acknowledged for their high durability, low power consumption, negligible noise and long life. These products are commonly mounted on the wall to provide wall to wall air in places where provision for a table fan and ceiling fan is limited. With their high speed aerodynamic blades, these fans can reach every nook and corner of the room. In addition our team of experts stringently checks them on various required parameters to ensure that our available products are in accordance with the International Quality Standards. 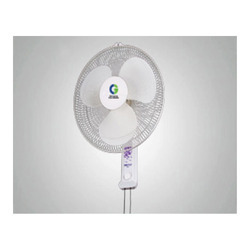 We are a renowned organization that is engaged in offering a wide array of Wall Mounting Rotating Fans. Manufactured using high quality material, these fans are appreciated for their high durability, low power consumption, minimum noise and long life. Our range finds wide application where provision for a table fan and ceiling fan is limited. These products are specially designed with aerodynamic blades to provide maximum air in the room. 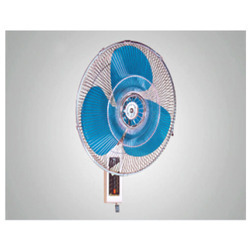 Backed by rich industry experience, we are presenting vast variety of High Flow Wave Wall Mounting Fans. These fans are commonly mounted on the wall to provide wall to wall air in places where provision for a table fan and ceiling fan is limited. With their high speed aerodynamic blades, these fans can reach every nook and corner of the room. We offer our customers with a comprehensive range of Wall Mounting Fans, which are highly appreciated for their high durability, low power consumption, minimum noise and long life. 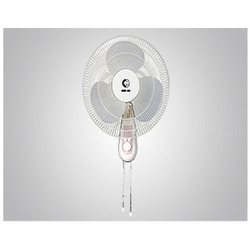 These products find wide application where provision for a table fan and ceiling fan is limited. These products are specially designed with aerodynamic blades to provide maximum air in the room. Stringently checked and tested on various required parameters by our experts, we are able to provide these products in accordance with the International Quality. Looking for Wall Mounting Fans ?